Kylesa, Kylesa (GA) and Damad. 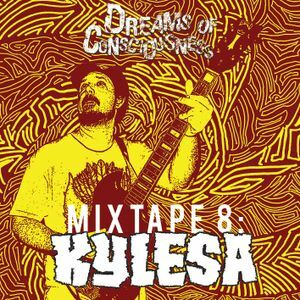 Here is the 8th installment of the Dreams of Consciousness podcast. While Kylesa were in town on the Malaysian leg of their South East Asian tour, I was able to snag guitarist/vocalist Phillip Cope for an interview. Of particular note is an extended discussion about his days in Damad. One of the best interviews I&apos;ve done, except the parts where you can hear the 3 cups of coffee I had right before. Thankfully, Phillip was patient enough to put up with my ADHD and rapid fire stammering. Many thanks to Ci Chaan and Emi Norazalli for helping to organize this interview; and of course, for bringing Kylesa to KL in the first place.